Home | Scandinavian Gift Collections | Gifts For Women, Moms, Sisters & Friends | Birds by Toikka Blackburnian Warbler Finnfest 2017 - 4.5" x 10"
Home | Shop by Brand | Oiva Toikka | Birds by Toikka Blackburnian Warbler Finnfest 2017 - 4.5" x 10"
Home | Shop by Brand | Iittala / Finland | iittala Oiva Toikka Glass Birds - Mouthblown & Handmade | Birds by Toikka Blackburnian Warbler Finnfest 2017 - 4.5" x 10"
Home | Iittala / Finland | iittala Oiva Toikka Glass Birds - Mouthblown & Handmade | Birds by Toikka Blackburnian Warbler Finnfest 2017 - 4.5" x 10"
Professor Oiva Toikka is one of the greatest names in Finnish design. His iconic collection of Iittala Birds by Toikka first took flight back in 1972 with the creation of the small Flycatchers. Today Iittala Birds by Toikka can be found in the homes of collectors all over the world who enjoy them as simple reminders of the poetry of everyday life. 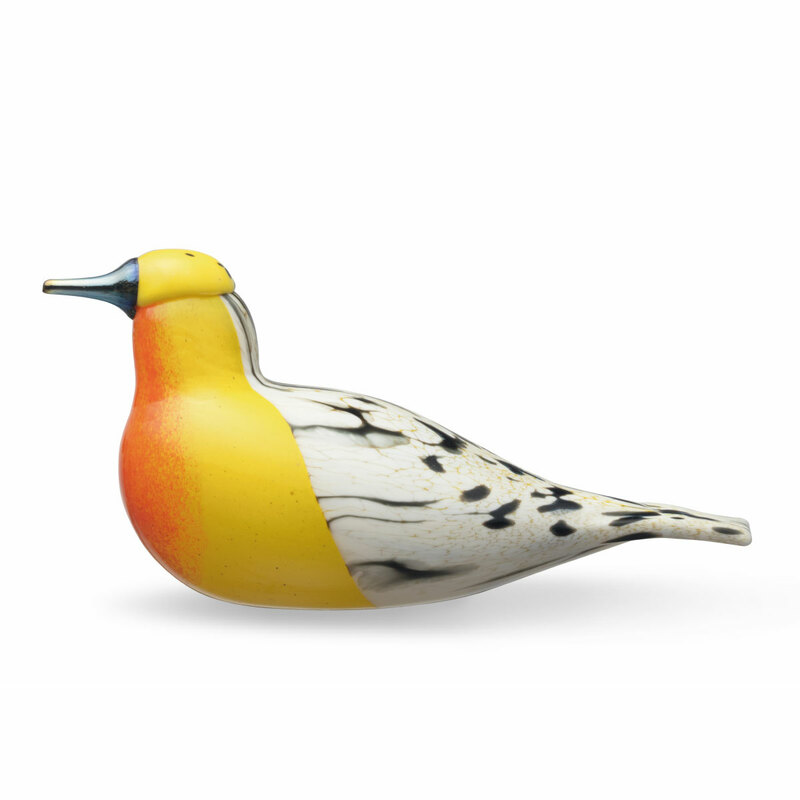 Drawing from nature and his passion for art glass, Toikka has created more than 400 birds over the last forty years. Iittala Birds by Toikka are all individually mouthblown, making each one as unique as those who collect them. These lovely little creatures are treasured objects of art that are sure to bring joy to any house, office or space they call home.